Well, the weekend and and day off yesterday were very good...right up until everyone starting throwing up! Yuck!! A nasty stomach bug has landed in my house and is wrecking havoc on all the kids. No school for anyone today. 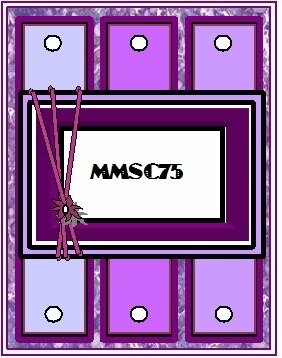 I did get a chance to do some crafting over the weekend including this card that I did for the MMSC challenge. The butterfly is from the Priscilla Styles store. I printed it out on Gina K. Luxury white card stock and then colored it in with copic markers. BG72, BG75, BG10, W3. I added some silver stickles (my new found obsession!) around the butterfly to add a bit of depth t o it. The card base is Ocean Tide from PTI and I used black and Sahara Sand for the other colors. I thought they were a good color palette to use for a sympathy card, which I needed to for a co-worker in my hubby's office. That's all for me today. Thanks for stopping by, and I hope you have a great day! What a beauty! Love your elegant, clean, crisp design. The colors and your fabulous interpretation of Priscilla's sketch rocks! Dori this is just amazing with all the beautiful embossing and color coordination. The black background enhances all the fabulous imagery of this spectacular beauty! Superb job with the "priscillastyles" image and the sketch this week. Thank you so much for playing along in the Midnight Madness Sketch Challenge. I really like the colors you used. Nice card. This is just awsome Dori! 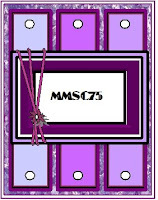 It is so hard to make sympathycards and this is so lovely and respectful. Great, great card! oh my goodness, this is stunningly gorgeous! I love the color combination and all the embossing is to die for!! Thanks so much for playing with us this week at the Midnight Madness Challenge. Wow...I love the embossing (two styles) together. The colors are gorgeous together and the image is perfect.